Map. 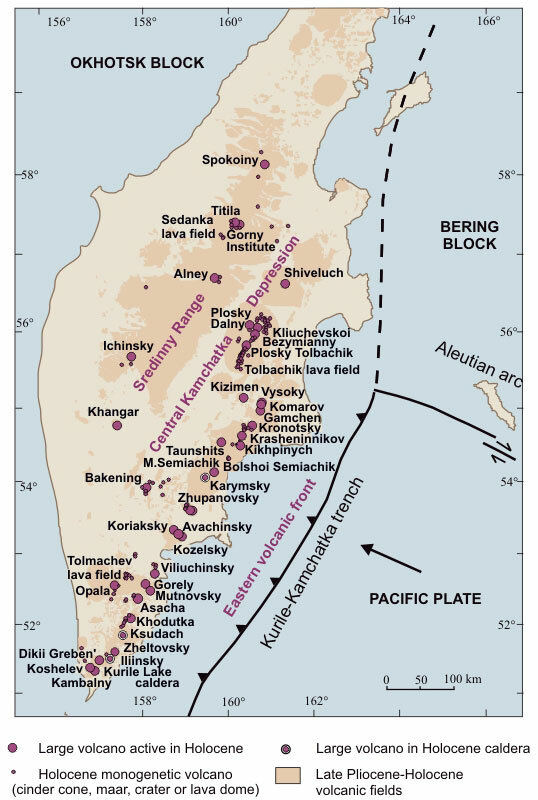 Holocene Kamchatka volcanoes site. Institute of Volcanology and Seismology. Uzon-Geysernaia caldera in the Eastern volcanic front has been posted! Sedanka lava field in the Sredinny Range has been posted! Alney volcano in the Sredinny Range has been posted! Volcanoes of the northern Sredinny Range and Kozelsky volcano have been posted! Tolbachik and Gorely volcanoes have been posted. From A to Z: Avachinsky and Zhupanovsky volcano posted!!! We are opening our volcano site. By now we have completed pages on a half of the Holocene volcanoes. These are shown in bold in the left frames. We will post the material on other volcanoes once it is ready.